KNOXVILLE -- Knox Area Rescue Ministries (KARM) has been selected to receive a percentage of the proceeds from a distinctive sponsorship opportunity for Trevor Bayne's Bristol Motor Speedway car which races in August. A group of area investors has created www.YourRaceCar.com to sponsor Bayne's #60 Roush Fenway at the Bristol night event on August 25. Through the website, the public can purchase space on the car for a name or photo. Sponsorships range from $20 to $1,900. From Friday, April 27th, 2012, 5 p.m. EST through Sunday, April 29th, 2012, 5:00 p.m. EST YourRaceCar.com will donate 50% of all proceeds from purchases made at yourracecar.com/KARM to Knox Area Rescue Ministries. Then from Sunday, April 29, 2012, 5:00 p.m. EST through Wednesday, August 1, 2012 5:00 p.m. EST YourRaceCar.com will donate 20% of all proceeds from purchases made at yourracecar.com/KARM to Knox Area Rescue Ministries. "We are very grateful for the opportunity to benefit from this sponsorship," said Sue Renfro, marketing manager for Knox Area Rescue Ministries. "It helps showcase the needs of the hungry and homeless in our community and offers a unique way to give back." 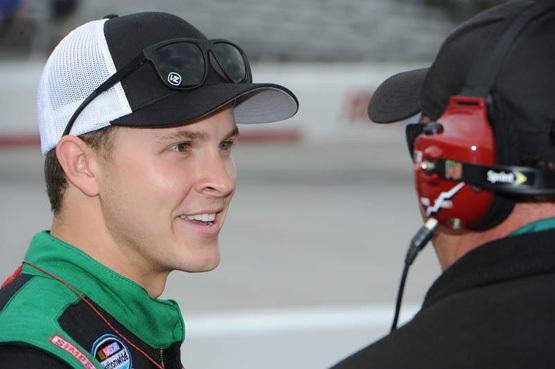 In 2011, East Tennessee native Trevor Bayne won the Daytona 500, becoming the youngest driver to win the race at 20 years old. Bayne is quick to identify his Christian faith as the driving force in his life and encourages others to lead a life of service. Knox Area Rescue Ministries, which is home to nearly 400 people each night and provides nearly 1,000 meals daily, has served the area as a Christian ministry since 1960. KARM is devoted to rescue, recovery and restoration, providing food for the hungry, shelter for the homeless, and healing for hurting people in our community.